Here we are again with more pumpkin. I seem to be nigh on obsessed, don't I? I mean, I am, but also? 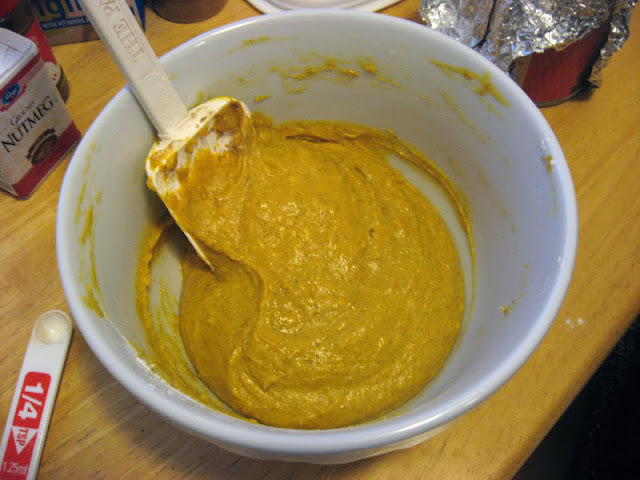 I always seem to have extra from other recipes, thus making me look up more new recipes, so it's just a pumpkin extravaganza up in here! 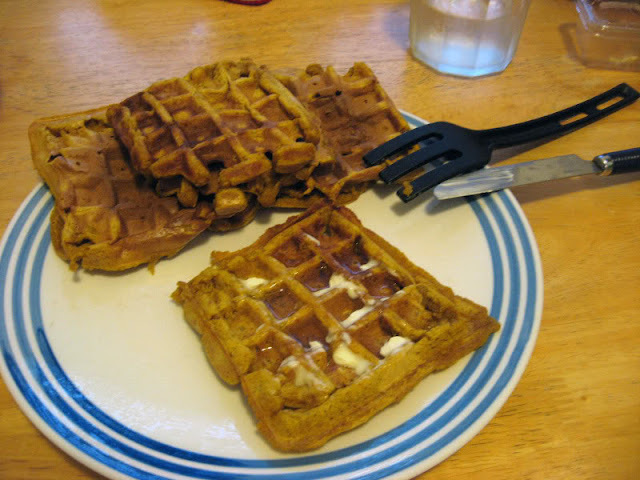 Confession: I do not remember the last time I used my waffle iron. It's... been a while. It's one of those things that I forget I have nestled in one of my cupboards, you know? A shame, because I quite like waffles. Much more than pancakes. Pancakes can take a hike if I've got the option of waffles. These waffles at Willamette, my alma mater, were almost boat-shaped, so you could pile it up with strawberries and whipped cream. Mmm mmm, those were Sunday mornings. I digress. 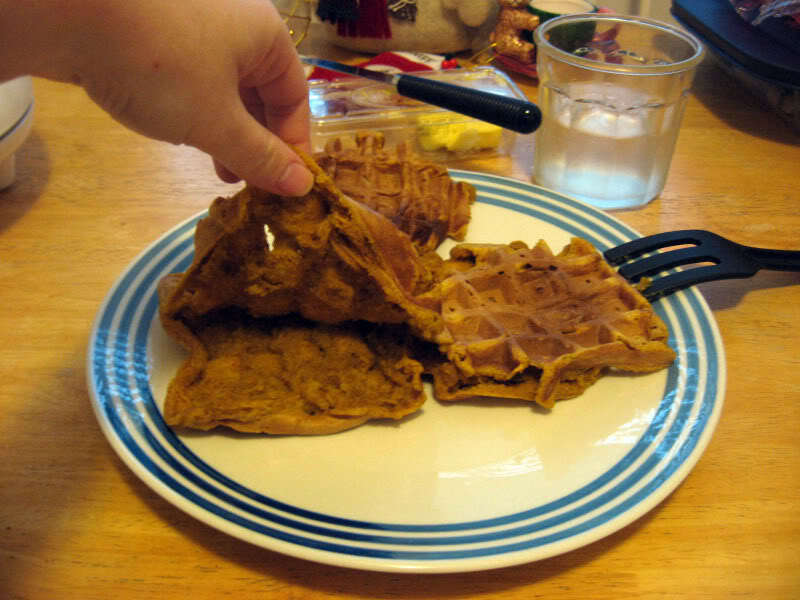 These are pumpkin waffles. And they are delish. My photos of them? Not so much, but... oh well. But okay, it turns out, these waffles? They're vegan. What! I didn't set out to make specifically vegan waffles, but I did set out to make some with soy milk rather than regular, and eventually I found the below recipe. I wasn't sure how they'd turn out, lacking the egg ingredient, but I think they turned out decent enough. Perhaps not as fluffy as one has come to expect from waffles, but then, I am not a waffle snob, so I was perfectly content. Also? You don't even really need to add the butter and syrup. They taste mighty good all on their own! 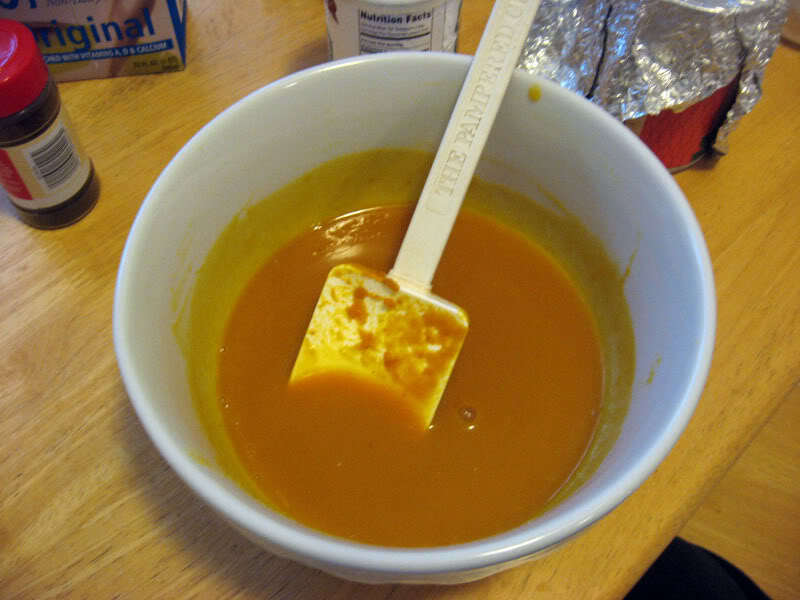 Combine together the pumpkin, sugar and milk until smooth. In a separate bowl, combine the flour with all of the spices, then gradually add into the pumpkin mixture until just combined. Cook on waffle iron. Here we have the pumpkin, sugar and soy milk all mixed together and friendly. With the dry ingredients all added. 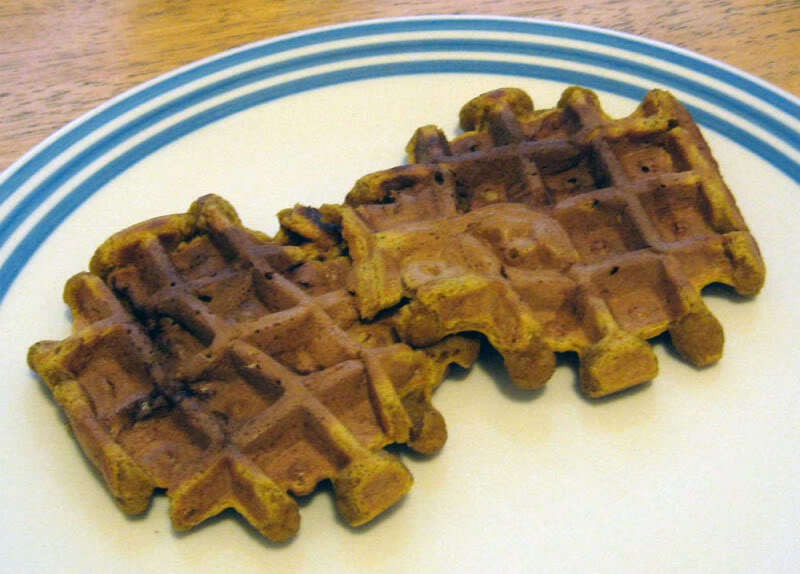 The first two to come off the waffle iron. You must be careful, though, lest this happen. My waffles split in two! Partially because I forgot to "condition" my waffle iron, and I think also partly because these waffles don't have egg, so don't stick together as well as they would with egg. But you know what? They taste just as good to me!